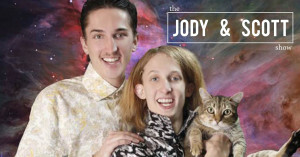 We’re live again tonight with The Jody and Scott Show! If you want to listen or call in live tonight – check out the player at the top of the page or click right here. Last week we were joined by Anthony (Formerly DJ Banana Shorts), Laughing Guy, Value Man, The Asian Guy, and many others. Who know’s what’s going to happen this week. Seriously, we don’t know…. we don’t really plan anything. Or if you want to roll old school CALL 407-499-8009 and leave a message there. It was a blast talking to everyone last week, and we’re looking forward to doing it again tonight! See you there.